Located close to the Capitol Theatre and a short walk from the State Theatre Twofold is a handy place for pre show dining. 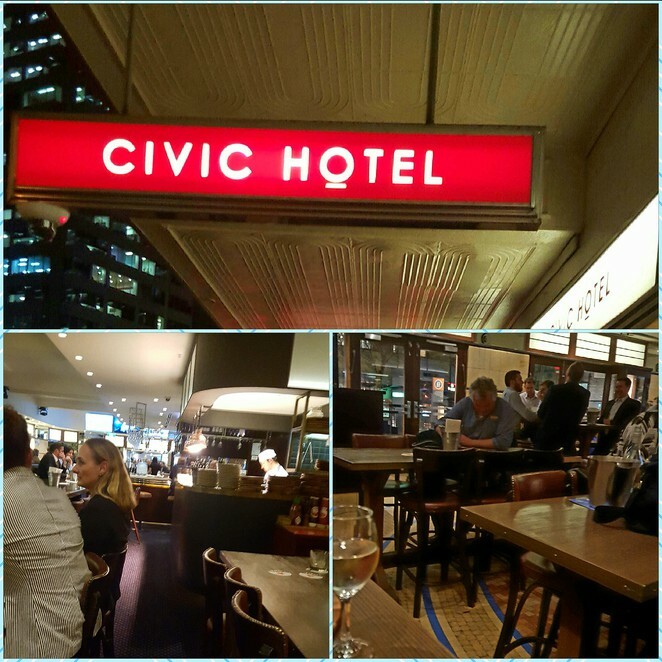 The ground floor of the Civic Hotel on the corner of Pitt Street and Goulburn Street is the home of this casual bistro. Vikki and Helena Moursellas were finalists on the 2014 series of My Kitchen Rules and they relocated to Sydney in 2015. 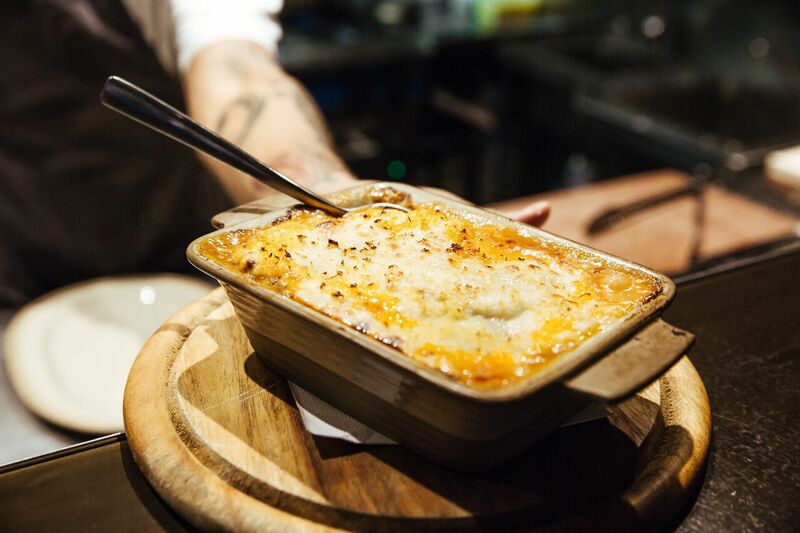 In Twofold they serve traditional pub grub with a Greek influence and modern twists. The hotel retains its 1940s Art Deco feel and the saloon bar area is a large open space with communal tables and a central fully visible bar and kitchen area. It is possible to see the twins at work but they are both not there all the time. The happy noisy patrons of the Civic Hotel are a mix of tourists, after work drinkers and pre theatre diners. 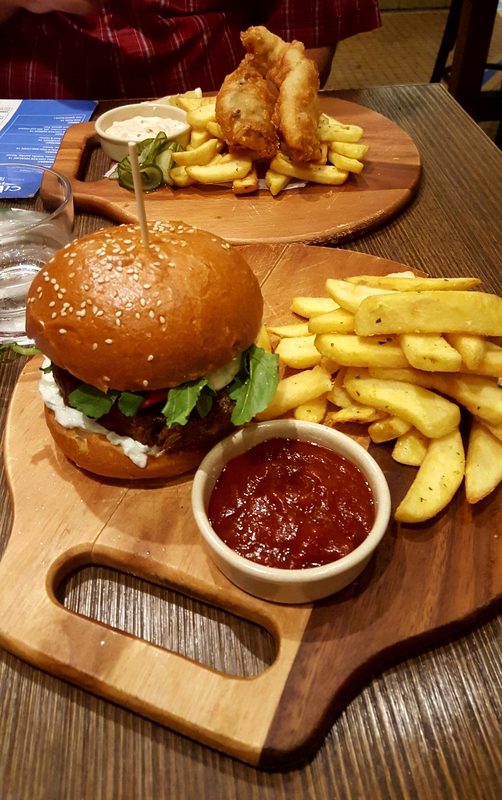 On a previous visit we dined on the moussaka and the steak and chips both of which were generous serves and very tasty. The steak was cooked perfectly and great value at $24. The hot crisp chips are lightly spiced with oregano salt and are not greasy. On our return vist we opted for the Tuesday special of Papou's fish & chips for $14 as well as the lamb burger at $18. As before the food was well cooked and tasty and served promptly. The service is friendly and attentive and midweek the pub has a happy welcoming atmosphere. We will be returning to Twofold as we would like to try some of the other specials as well as the desserts and the location is great for pre theatre food and drinks.